Few backyard birds are as beloved as the Black-capped Chickadee. The boldly patterned chickadee is perky, trusting – and it seems to introduce itself by calling its name – chick-a-dee. But when a chickadee voices its namesake call – using a host of variations – it’s most likely maintaining contact with its mate, scolding a predator, or announcing a food source. These chickadee calls, distinct from songs, are uttered by both sexes and may be voiced year-round. 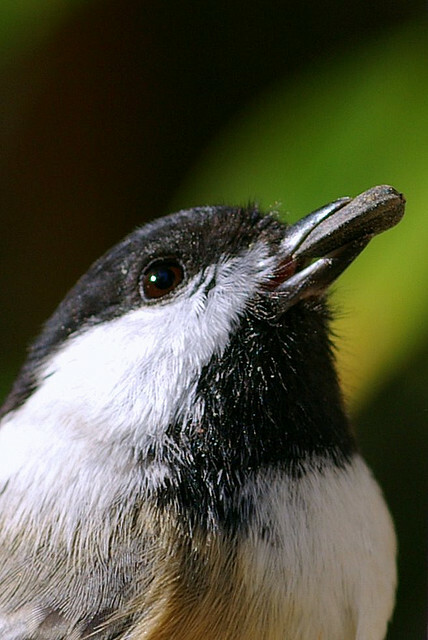 In spring, Black-capped Chickadees also voice a sweet series of notes that sounds like “hey, sweetie” [Black-capped Chickadee “hey, sweetie” song]. And from a chickadee’s point of view, there’s a huge difference between [chick-a-dee] and [hey, sweetie]. The springtime [hey, sweetie] means something like, “Ladies, I’m a male chickadee looking for a mate. You other guys – get lost!" Technically speaking, [hey, sweetie] is a song – a seasonal vocalization specifically tied to mating and territory. 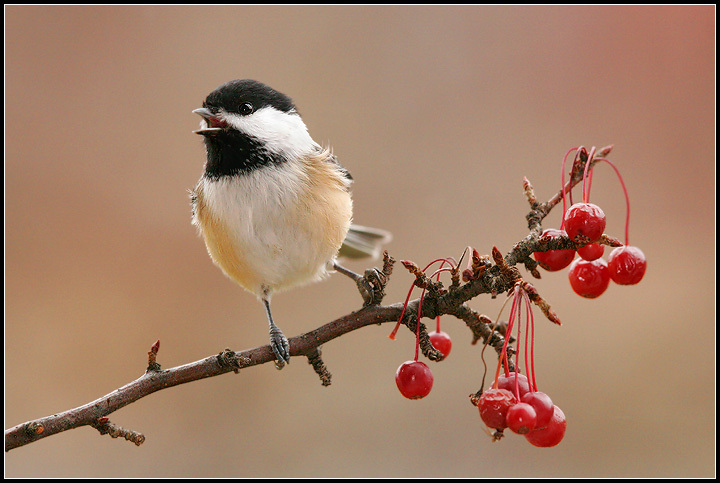 When a chickadee voices its namesake [chick-a-dee], however, it is a sound categorized as a call. Calls, distinct from songs, are uttered by both sexes and may be voiced year round. Bird sounds provided by The Macaulay Library of Natural Sounds at the Cornell Lab of Ornithology, Ithaca, New York. Chick-a-dee calls #106942 recorded by R.S. Little. Hey sweetie song #98802 recorded in Michigan by G.A. Keller.